A compact, compelling little novella from the Patron Saints of accessible literature, Barrington Stoke. Make a story too difficult, turn off struggling readers. Make it too babyish, same effect. Barrington Stoke walk that alchemic line that manages to make a story gripping and gritty, but incredibly accessible too, usually in less than 100 pages. 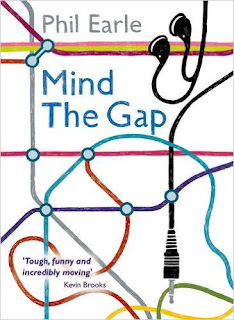 Mind the Gap is one of their 2017 title in the revamped, squarer format. Nice. It tells the story of a15 year old unnamed narrator who goes to great lengths to try and comfort his bereaved best friend, Mikey. Mikey's dad Vinny, a waster at the best of times, used to be a laugh. An actor that always seemed on the verge of stardom, he'd disappear for months on end, then show up in a different each time sports car, whisking Mikey and the narrator off for laughter-filled hijinks. Elsewhere Vinny does not seem to have made such a favourable impression. When Vinny drops dead one day out of the blue, Mikey really struggles to deal with the anger and pain, staggering off down a few badly chosen roads of self destructive behaviour. Missing his lifelong mate and companion, the narrator sets off across London to track down something of Vinnie for his son to remember him by. 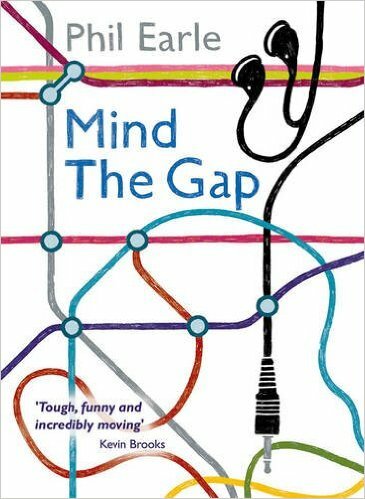 Mind the Gap is a touching story of friendship between two down at heel lads on an East End council estate. It's funny, quickly-paced and heartwarming, and shows that the art of the novella is alive and well, and Barrington Stoke have got some of UKYA's finest in to prove it.